Remind people to Flush the Toilet in all your public or work restrooms. 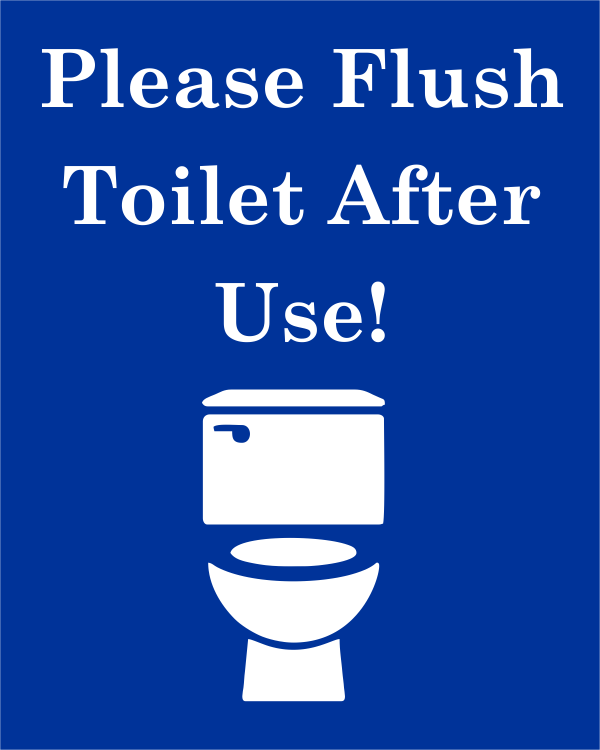 Mount this 8" x 10" engraved plastic sign in your public restrooms to remind your patrons to Flush the Toilet. Choice of rounded corners or beveled edges. Choose your backing for easy hanging. Order today. Most orders ship within 24 hours.